Limnio is a red-wine grape originating on the Greek island of Lemnos, and not yet found outside of Greece. Though little known yet in the wider world of wine, it is widely regarded by such expert critics such as Jancis Robinson and Oz Clarke as one of the dozen and a half or so of world-class red-wine grapes (those in boldface in the varietals list in the dropdown lists up the page). 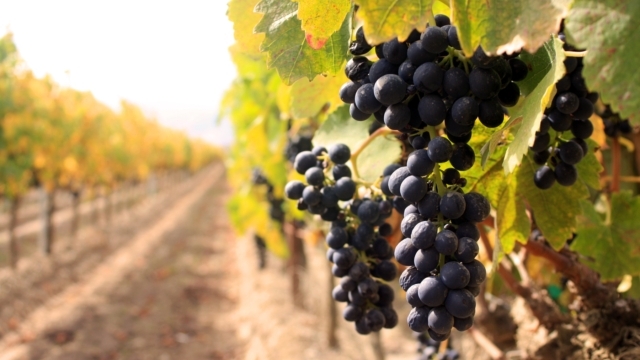 That it is still virtually a "mystery grape" in the U.S. is not a situation likely to persist much longer: grapes of this quality will, in today's interconnected world, make themselves known. Winemaker Nikos Vakirtzis' observation that If Limnio belonged to Italy or France, it would be world famous is by no means braggadocio. If little known today, Limnio is nonetheless storied. It is widely believed—a few scoffers notwithstanding—that it is the Limnia remarked on by Aristotle (who more than once mentioned its herbaceous flavors of oregano), Hesiod, and Polydeuctes. 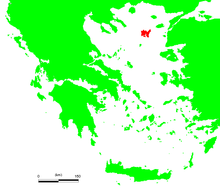 Today, Limnio is now mainly grown and vinified in the the Halkidiki Peninsula of Greek Macedonia, but also in Thessalia. Limnio grapes are late-ripening and thus tend to produce juice with high sugar levels, which in turn would lead to high alcohol level in the finished wine. Moreover, if harvested late, the juice also contains certain phenols that tend to impart a definite herbaceous quality to the wines. Thus, the grapes are often harvested relatively early. The resultant wines are typically large, full-bodied, and strongly flavored, having at least moderate tannins and acidity, and a notably mineral nose, which appears to be its single most distinctive quality, followed by herbaceousness, then dark red-berry overtones. Factoid: Though some Limnio is still being produced on Lemnos itself, it is not utilized in any appellation wines produced on the island. "Limnio produces full bodied wines with moderate tannins and acidity levels and a distinctive mineral aroma. When blended, Limnio adds color, weight, acidity and an herbal aroma which Oz Clarke describes as reminiscent of bay leaves." "Limnio wine is moderate in color, elegant in aromas and flavors, dominated by fresh, aromatic herbs and elegant, red berry fruits. On the palate it displays medium acidity, medium and very silky tannins, breadth, and moderately high alcohol. . . Limnio is an excellent wine for wine drinkers who want to get away from the heaviness of international wine varieties. It is a grape that delivers interesting flavors, with a discreet tannin structure and brightness. . . All single Limnios and blends are ready for consumption on release, but pure Limnio can develop for four to seven years, and blends can develop for significantly longer." "Limnio is full-bodied wine with moderate levels of acidity and tannic and a distinguishable mineral tone and aroma, making it highly suitable for blending with other varietals, to derive a completely new color, acidity, herbal tones, acidity levels and aroma. Limnio grapes - the main varietal used in this wine, is known for its hardiness and adaptability to survive the toughest drought conditions and late ripening characteristic, which offers and enhances herbaceous tone to the wine. 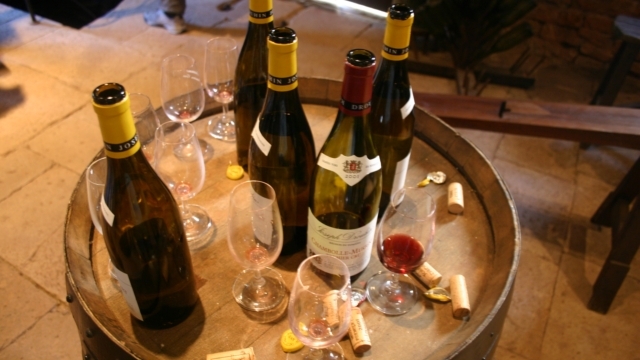 Limnio wine is ideally blended with Grenache, Merlot and Cinsaut. Limnio displays a striking resistance not only from dry weather conditions but also from different types of diseases - often described as a sturdy grape." "Why I loved it: The fragrant, sensual and extremely complex nose of aromas reminiscent of ripe strawberries, black cherries, pomegranate, dried rose petals, exotic Indian spices, black pepper and notes of cedar and dark chocolate. Dry on the palate, with a mouth-watering acidity and well integrated, fine grained tannins; full yet elegant, with flavours of sweet dark cherries, plums, spices, dark chocolate, roasted coffee beans and a long black pepper finish." "As a varietal wine Limnio is full-bodied, high in alcohol and very herbaceous, with a distinctive taste of bay leaves." "So how do you most easily pick [out] Limnio? There is a distinct mineral aroma, which comes from almost no other vine on planet Earth." "[It] produces lovely, silky red with the exotic perfume of wet violets and cherries." There are apparently very few sorts to be found at all in the U.S., and none of them is widely available. The list below shows the ones within (if barely) our price range, and good luck in finding one or more somewhere you can buy from. And, as noted, when found, they tend to push the upper bound of our "under $20" price range. Sorry; it is what it is. ♦ Zafeirakis Limniona speaks of red fruits, freshness and elegance. The large and thick-skinned berries give a vivid ruby colour with medium intensity. On the nose, layers of cherries, strawberries and pungent spices are supplemented by subtle oaky notes and earthiness. Definitely this is a wine expressing fruit grown in a certain place rather than being about French or American oak flavours. On the palate it’s all about freshness provided by firm acidity levels in great balance with fruit extract and powerful, yet not astringent, tannins. ♦ Beautiful fruity nose of pomegranate sweetness, ripe strawberries, raspberries, red currants, cherry stones; earthy notes, slightly dusty. Vibrant juicy acidity, soft velvety tannins. Sour cherries, red currants, Indian spices; touch of lavender or rosemary? Mineral. Very long length. Centred on elegance and richness in flavour. Fine textured. Tight structure that suggests a beautiful development. Seeks food to shine. ♦ [It] had a red violet Bordeaux like color, but the fruit seemed slightly cooked on the nose. The palate was cleaner if showing hints of asphalt. Overall a straightforward red but lacking much expression. ♦ 2008 Domaine Zafeirakis Limniona is a rustic red wine, with notes of plum, black cherry, and herbs, and would pair well with hearty but simple Mediterranean food. 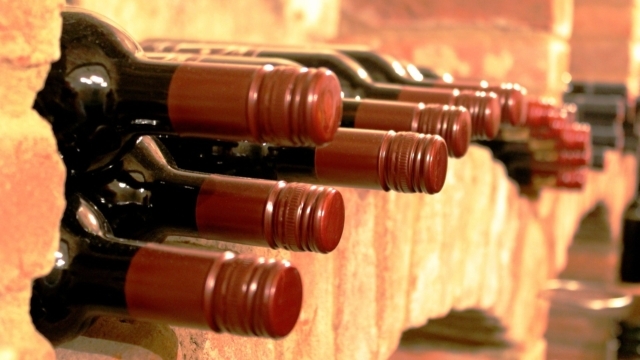 ♦ The wine is silky and ever so elegant, a true original. ♦ [A] deliciously balanced red with boysenberry and cherry notes on the nose followed by dark blue fruit and juicy, well-integrated tannins. ♦ The extra time in bottle has allowed the wine to completely absorb the oak, and vibrant strawberry, strawberry jam and red licorice dominate the palate with tinges of orange zest. Lovely. ♦ On the nose there is a salty red fruit character. This wine is animalistic and gamy. It offers bricky fruit tannins with dried red fruit and a tarry leather quality intermingled with paraffin wax and very rich red spiced fruit. Very delicious and quite a serious wine! ♦ 2006 – light ruby; spicy, cedar, raspberry and bay leaf nose; light, fresh, fruity. ♦ Its characteristics involve a deep red color with spicy scents of pepper and cinnamon. It fills your mouth easily without stiff tannins. ♦ This  light colored wine, was soft with lots of cherry flavors. Another easy drinking wine, this was like a light and simple Pinot Noir. . . The 2009 seemed even bettere than the prior vintage, with a more alluring, fruity nose and brighter fruit on the palate as well. An easy drinking and fun wine. • This wine does not seem to have any Wine Searcher "Tasting Notes" page. ♦ Rich and dark red color. Ripe black cherry, and pomegranate flavors with cedar and dark chocolate notes. Dry in taste, with lush acidity and well-integrated tannins. Full-bodied but elegant, with aromas of sweet dark cherries, plums, spices, dark chocolate, roasted coffee beans, and a long, spicy aftermath. 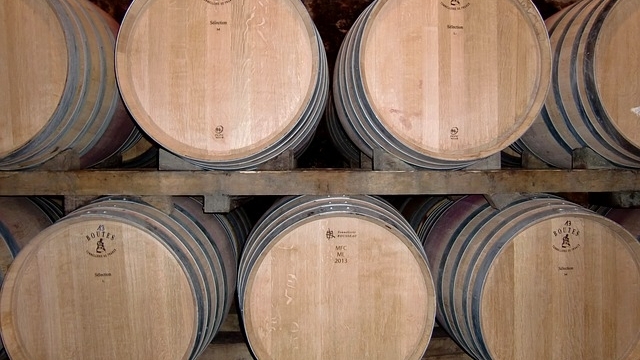 ♦ This wine is made with 100% estate Limnio, aged in oak. The wine has a beautiful, deep-ruby color. There are currant and blackberry notes, along with some green herbs and cocoa. Tannins are powdered and balanced with the acid. The body is medium, and the finish is long. This is an excellent wine. ♦ [Google-translated from Greek:] The oldest Greek variety, Limnio with the application of innovative vinification methods has matured for 12 months in oak barrels, micro-oxygenations create a wine with soft aromas of fruit, without this not signifying the character of the barrel. The color is purple, aromas of ripe strawberries, black cherries, pomegranate, and notes of cedar and black chocolate. Dry in the mouth, with juicy acidity and well-integrated tannins. Full and elegant, with mouth-to-mouth aromas reminiscent of sweet black cherries, plums, spices, black chocolate, roasted coffee beans, and long, peppery finish. ♣ Gold Medal, 2015 Thessaloniki International Wine Competition. ♦ [L]eaner, lighter, more mineral and herb and higher acids and more toasty-roasted berry - cherry - raisin flavors, I liked it, liked it a whole lot : fun, something "new and exciting!" ♦ Depth of fruit and elegant spiciness. Sensual and complex. Great ageing potential. With those three being about it, there are no "splurge" choices to be had.